Home » About Our Blog » What Information Should Staff Take to the School Board? What Information Should Staff Take to the School Board? That information will generally not be sufficient to legally support the board and superintendent’s certification of the district’s compliance with the 100% Rule. (1) School boards are legally responsible for selecting instructional materials. (2) State-adopted materials are not necessarily aligned to 100% of the TEKS. Materials are eligible for state adoption if they cover at least 50% of the TEKS for the grade and subject. (3) The board president and superintendent have a legal responsibility to certify annually to the SBOE and the commissioner that the district provides each student with instructional materials that cover 100% of the TEKS for each grade and subject in the required curriculum, except physical education. Both state-adopted and non-state adopted materials may be considered for that certification. The entire board must ratify the certification in an open meeting; thus, the legal duty for compliance with the 100% rule applies to the whole board, not just the board president. The commissioner may require districts to submit supporting documentation describing the instructional materials on which the certification is based. Since the commissioner may ask for documentation to support the superintendent/board’s TEKS certification (i.e., to prove that the district’s materials are aligned to 100% of the TEKS for each grade and subject in the required curriculum, except PE), district staff would be prudent to provide the board with an alignment report or evidence that the district can access the alignment report for each material submitted for local adoption, especially all non-adopted materials (including supplemental materials) and state-adopted materials that are aligned to less than 100% of the TEKS. 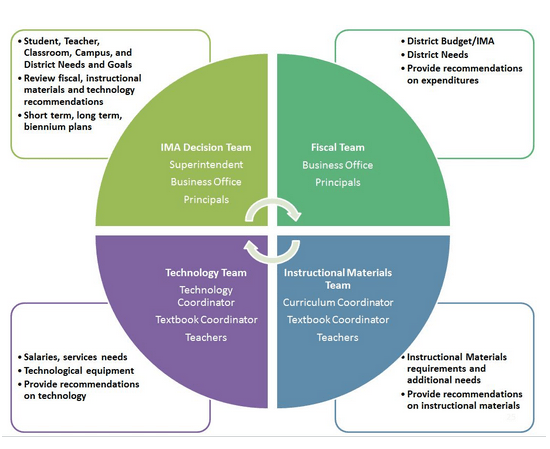 How can districts access the alignment reports for an instructional material? State-adopted materials: The state develops an independent alignment report for each material that goes through the state adoption process. The report provides the alignment percentage for the Teacher and Student editions and lists the citations (e.g., page or unit numbers, or lesson titles) that the state panel reviewed for alignment to each TEKS breakout. Each alignment report is over 100 pages. TEA does not publish the reports for state adopted materials, but any district can request a copy through a public information request (PIR). Alternatively, districts that subscribe to Learning List have immediate, online access to the state alignment report for every state-adopted product in the four core subjects. State-adopted materials that are 100% aligned: If the district’s staff is recommending a state-adopted product that is aligned to 100% of the TEKS, then it is probably not necessary to provide a copy of the alignment report to the board. State-adopted materials that are less than 100% aligned: If however, staff is recommending adoption of a state-adopted material that is less than 100% aligned, the district should provide the board with the state alignment report (or evidence that the staff has it). The reason is: if a material is less than 100% aligned, the district is going to have to use one or more supplemental resources (e.g., apps, lesson plans, other instructional materials) to fill in the gaps, so that in the aggregate, the district’s resources align to 100% of the TEKS for the grade/subject. Non-state adopted and open educational resources (OERs) materials: Just as for state-adopted materials that are less than 100% aligned, district staff should provide the board with an alignment report for each non-state adopted (comprehensive or supplemental) and OER being recommended for local adoption. Districts may be able to get an alignment report from the publisher, may develop their own alignment report or can subscribe to Learning List for access to alignment reports for over 850 materials, including state-adopted and non-adopted materials and OERs. What Other Product Might Be Useful to the Board? In addition, district staff can use Learning List’s “Comparison” tool to create a dashboard of critical information about materials being recommended for local adoption in any of the four core subjects. The dashboard includes a description of the product, the price, technology requirements (for online materials), a summary of Learning List’s review of the product and a link to either the state alignment report (for state-adopted products) or Learning List’s alignment report (for non-adopted materials). The dashboard is customizable; district staff can delete or add information they want to share with their board. The comparison tool can be used to create a dashboard for a single product or up to three products at a time, if staff wants to show the board which materials were compared in the selection process. Guidance on how to create a data dashboard to take the board is available under the Help section on the site. Board members are ultimately responsible for the materials their districts adopt. They are legally responsible for ensuring that all students receive instructional materials that will help teach them the knowledge and skills the state standards require them to learn. Board members are politically responsible to their community to ensure that the district is selecting high quality materials with the supports necessary to help their students and teachers achieve success. When considering which information to provide to the board, district staff should provide board members with the information they will need to uphold their duty to their students, to the state, to their voters.